Elective share rules can very per state. Florida’s Elective Share laws can be found within the Florida Probate Code Statute §732.201 through §732.2155. Elective shares are a way of protecting surviving spouses. The surviving spouse of a person who dies domiciled in Florida has the right to claim a portion of the deceased spouse's estate known as the elective share, regardless of whether the deceased spouse died with or without a will. Elective shares include assets subject to probate as well as some that pass outside the probate process. This can include property, property held in joint tenancy with right of survivorship or in tenancy by the entirety, joint bank accounts, revocable trusts, and pay on death accounts (life insurance, IRAS, 401(K)s, pensions, profit sharing plans, and retirement plans). Legislative changes in 2017, now include Homestead in elective estates, unless the surviving spouse has waived his or her homestead rights. Elective shares do not include things like irrevocable transfers which occur prior to the effective date of the new statute or after that date but before the marriage to the surviving spouse, transfers made with the informed written consent of the surviving spouse, or the deceased spouse’s half of community property. The elective share is an amount equal to 30% of the elective estate and is subject to probate administration. In 2016, Legislative changes made an elective share a floor, not a ceiling on the amount of assets a surviving spouse is entitled to. A spouse must file an election with the probate court on or before the earlier of the date that is six (6) months after the date the surviving spouse is served with the estate’s Letters of Administration, or the date that is two (2) years after the death of the surviving spouse. A petition for an extension of the time for making the election or for approval to make the election shall toll the time for making the election. After an election has been made, the next step is to determine the amount of the elective share and the source of the share. If no party files an objection to the spouse's entitlement to the elective share within the allotted time, the court will enter an order determining the spouse’s right to the elective share. If an objection is filed, the court will hold a hearing to determine whether or not the surviving spouse is entitled to an elective share. Typically, no distributions should be made from an estate until the elective share is determined. Beneficiaries who have received a distribution of property that is included in the elective share of the estate, are required by law to return those assets and with interest (if applicable) to the estate. A spouse may waive the right to the elective share by a marital agreement entered either before or after marriage. A spouse may also withdraw an election at any time within 8 months after the decedent’s death and before the court’s order of contribution. 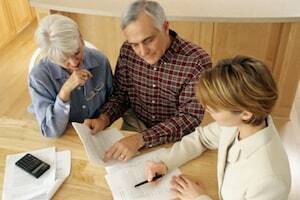 May people are unware of the elective share when establishing an estate plan. It can be a very confusing and complicated issue when dealing with probate and estate planning. If you have questions regarding elective shares or your estate plan call KALIS, KLEIMAN & Wolfe today at 954-791-0477.